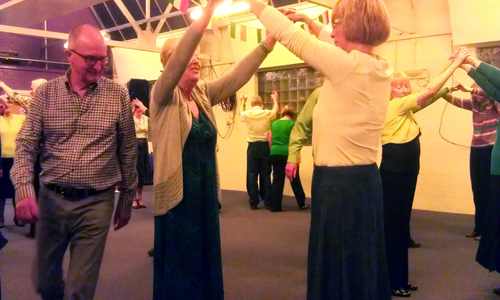 WHAT BENEFITS CAN JOINING THE U3A BRING TO YOU? 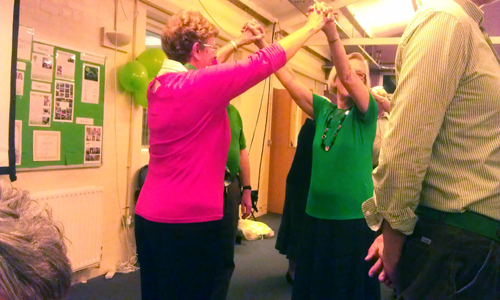 Are you a 'Baby Boomer'? Can you remember extra classes in school and cod liver oil capsules? Did you wear net underskirts or luminous socks? Are you the generation, educated after the 1944 Education Act, who have coped with the swinging sixties and the peace-loving seventies; flower-power; men on the moon; the Cuba Crisis; computers and the Internet? Have you managed the vagaries of Microsoft Windows and got lost with your Sat. Nav.? 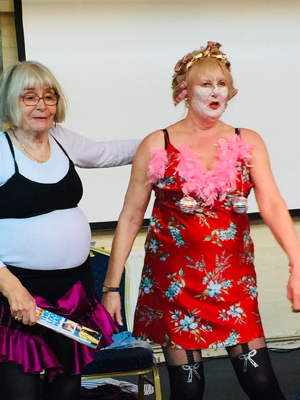 Are you now, in retirement, looking for the next challenge or, at the very least, something interesting to do with your time? 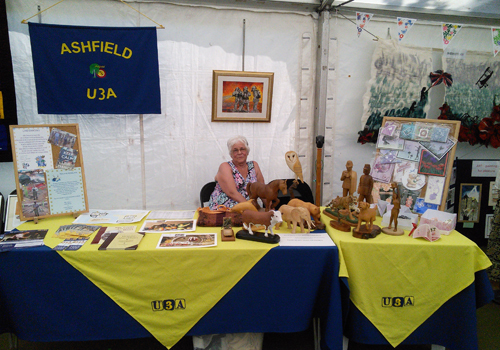 Ashfield U3A (University of the Third Age) is a self-help group aimed at providing life-long opportunities for those who are generally over 50 (though there are no age constraints) and no longer in full-time employment. 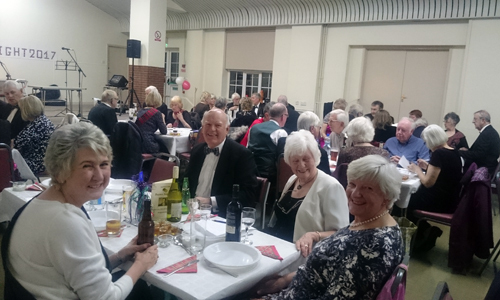 Ashfield U3A meets once a month for a general meeting with topic or speaker, but the real strength of the organisation lies in the interest groups which are small, run by members and allow people with a common interest to meet together with the aim of learning from each other. 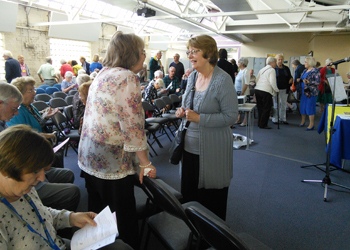 At present, interest groups include such topics as Art, Badminton, Board Games, Book Groups, Breakfast, Bridge, Cake Decorating, Canasta, Cardcraft, Cinema, Cinema Visits, Classical Music, Craft, Discussion, Family History, Gardening & Garden Visits, Holidays, Horticulture, International Dining, Investments, Lunch Group, Mah Jong, Miscellany, Movement to Music, National Trust Visits, Opera, Play Reading, Poetry, Pudding Club, Railway, Scrabble, Shakespeare, Singing for Fun, Sugarcraft, Theatre Visits, Threads & Fibres, Ukulele, Walking & Wine Appreciation. Future groups may include any topic that a few members wish to pursue. Interest Groups are often started because of the interest of one or two members. 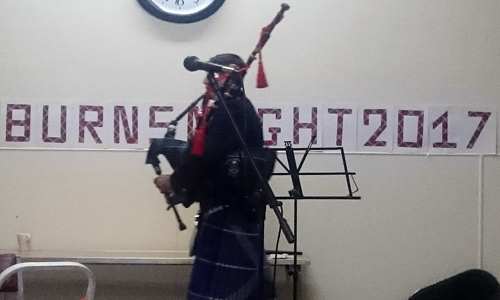 They will arrange a short meeting at their home or other venue and invite others who may be interested. The interest group decides how, when and where they will meet and how large the group will be. Some, such as outings groups, may not meet formally at all. Some may wish to pay a teacher; others will pursue their interests as a group, learning from each other without an 'expert' or tutor. The co-ordinator of a group does not have to be an expert, but will ensure that meetings happen and that group members are kept informed. NEWSLETTERS: Please use this section for latest 2 fullscreen newsletters. If they don't work on your browser, use the section below. ARCHIVED NEWSLETTERS: Please use this section for all archived fullscreen newsletters. Tea / coffee is available on arrival, whilst your case is taken to your room. 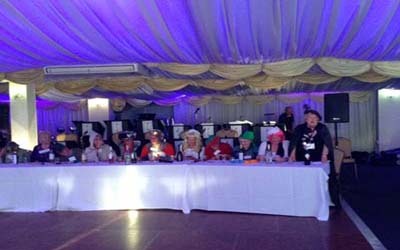 Breakfast, dinner two nights, although dinner (Christmas-themed) will be early (approx 4pm) on our first night to allow time for the show, with a mulled wine and mince pie on your return from the show. Included are the tickets to the show, a full day in Norwich and also a stop in Holt on our return. Should you wish to add your name, (this is a long way off and people and circumstances change), please see me at the meeting and inform me of any mobility problems when booking. Some of you have already notified me of these, thank you. 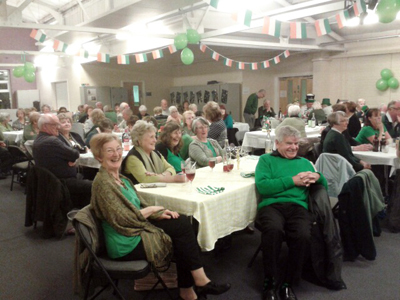 Please make cheques payable to 'JUST FOR GROUPS' not U3A. Morrisons have removed their parking meters and there is now a maximum of 3 hours parking. Aldi restrict parking to 90 minutes for customers only. Hodgkinson Road/Festival Hall car park: £1.50 for 4 hours. Lindleys Lane and Sherwood Street: there is some free street parking. Kingsway Park: plenty of free parking but a fairly long walk. Please adhere to parking signs in the Ashwood Car Park, this is because of Fire and Health & Safety Regulations. Please also leave the Speakers parking space free. The entrance road to the car park at the rear of the Ashwood building must be kept clear as this access is required for emergency vehicles. Please remember that we are not allowed to park in the car park of the Health and Well-being Centre next to the Ashwood Centre. The Safeguarding Policy for Ashfield U3A is now available from the Committee page of this website. We are pleased to announce that both Colleen Green & David Wilson have both attended an Emergency First Aid Course paid for by Ashfield U3A. They have both qualified and are awaiting their certificates. Now, not only will Thursday meetings be covered, but the groups to which they belong may also benefit if required. This is a website which lists dozens of walks which can be downloaded and printed free of charge. 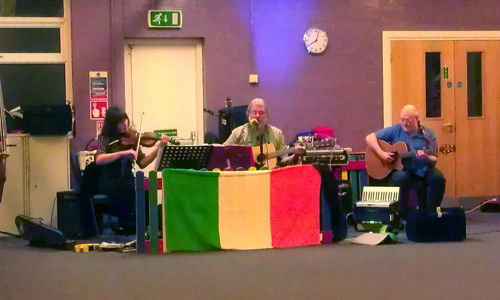 Go to the 'walking in notts' site. 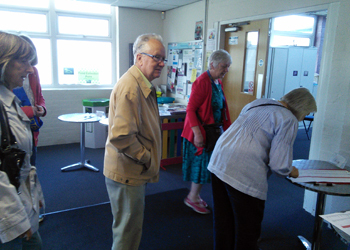 May we respectfully remind you that, from time to time, you should ensure that all members of your group prove their membership of Ashfield U3A (or another Neighbourhood Group U3A) by showing you an up-to-date membership card. This is most important from an insurance aspect, as one member who is not covered by TAT insurance could invalidate the insurance for the rest of the group. Do you know of anyone in Ashfield U3A who is seriously ill or has just lost a loved one? 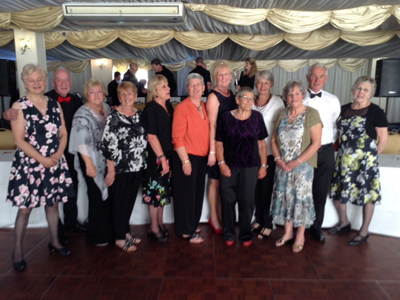 We would like to send out a card on behalf of Ashfield U3A. 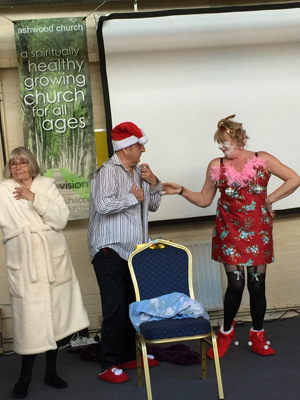 Please contact either Carole Seymour on 01623-489785 or Rita Lomas on 01623-480338, or send an email to Carole or Rita. 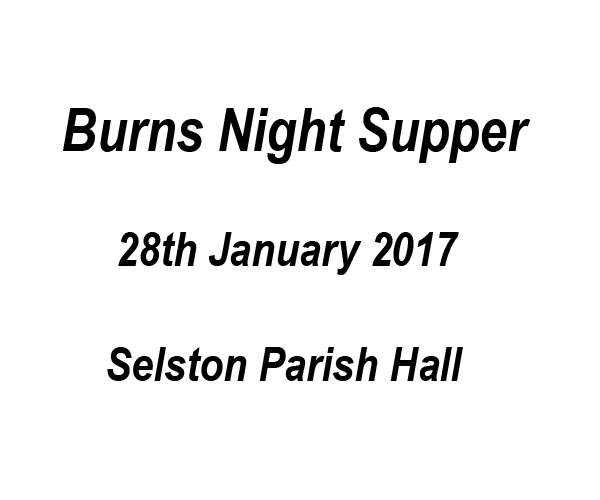 Ashfield U3A has now registered with the Ravenshead Community Minibus Scheme, and as such, we will receive 10% discount on all our bookings. 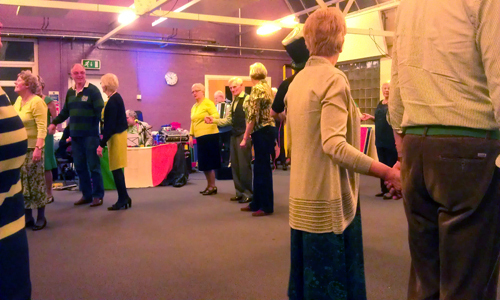 Any group within Ashfield U3A is entitled to use this facility, which is in addition to the Kirkby 'Our Centre' minibus. 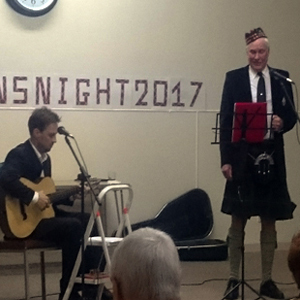 Ashfield U3A formally celebrated its 10th anniversary at Goosedale in Papplewick, Notts., with entertainment from Ravenshead Swing Band. 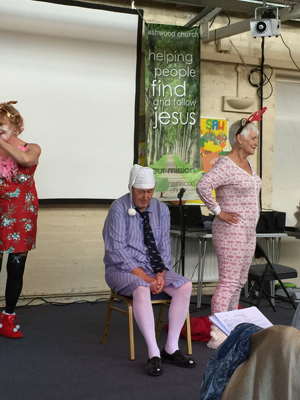 The Am Dram group also gave a short sketch Some photographs are shown below. 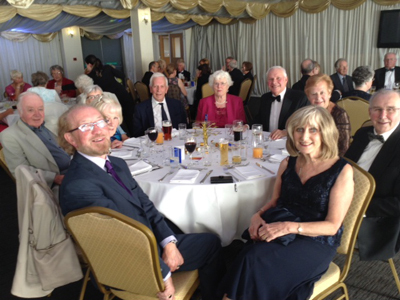 Ashfield U3A celebrated its 10th anniversary at the March monthly meeting held at the Ashwood Centre, Kirkby-in-Ashfield. 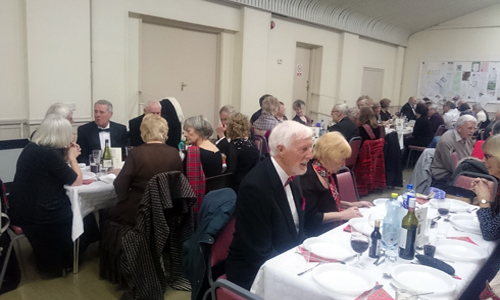 Around 170 of its 300 plus members were in attendance and enjoyed a glass of Champagne together with smoked salmon and cream cheese crostinis. 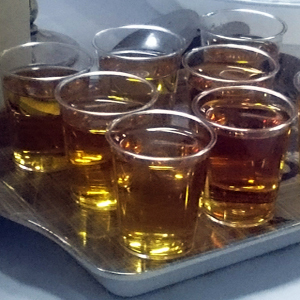 Soft drinks were also served as an alternative. 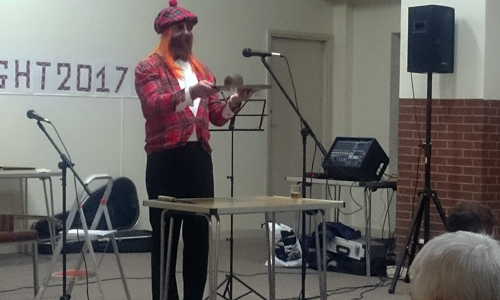 After announcements, an anniversary cake was cut by its first chairman, Barrie Jackson, and shared with those present. 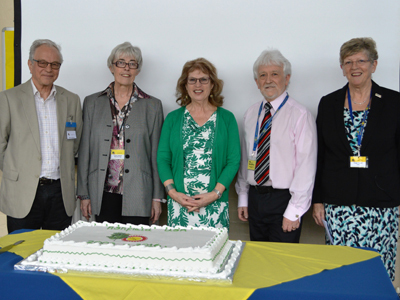 All five chairmen to date are pictured with the cake - from left to right, Barrie Jackson (first chairman), Lynne Jackson (fourth chairman), Maxine Rose (second chairman), Ron Britton (third chairman) and Trish Tootell (fifth chairman). 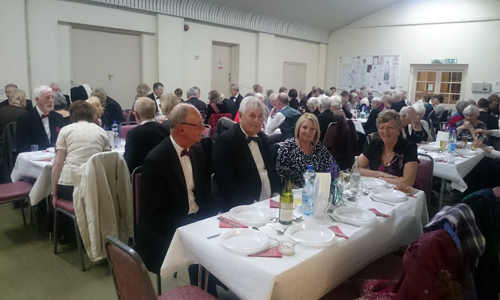 A formal dinner was held in July at Goosedale in Papplewick, Notts., with entertainment from Ravenshead Swing Band. 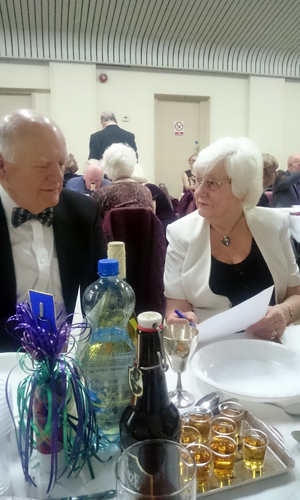 Mansfield and District U3A was so successful that, six years after it was formed, it found itself in the position of looking for ways of dealing with the large number of people wishing to join. 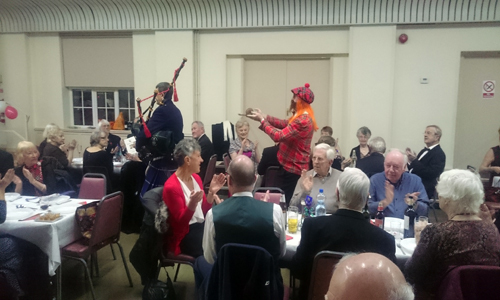 As a result, and to meet the demand, Ashfield U3A was set up in March 2006. 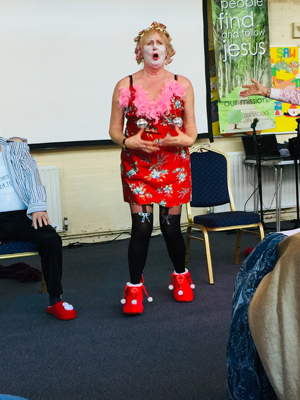 After the first meeting at Sherwood Court, it was obvious that there was not going to be room for expansion and so the committee decided that it would be prudent to seek out a new venue. 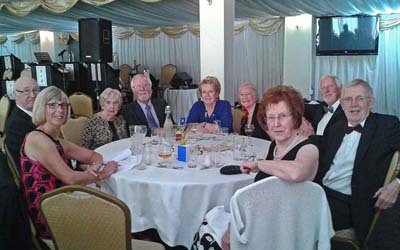 As from May 2006, Ashfield U3A held its main meetings at Bentinck Miners' Welfare, Sutton Road, Kirkby-in-Ashfield, where it continued to do so until September 2007, when it became obvious that another venue had to be sought, owing to its ever increasing numbers. 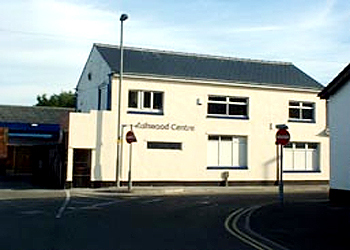 Since October 2007, meetings are held in The Ashwood Centre, Portland Street, Kirkby-in-Ashfield. This premises can house a significant increase in membership, is light and airy and has the advantage of being central to the town whilst on one level. It is also just off the main bus routes through Kirkby and can cater for around forty cars, while overspill parking is available in several car parks which are only a few minutes away. 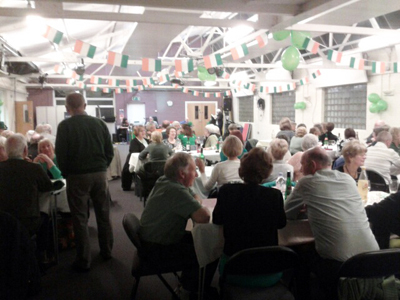 The Ashwood Centre also has a number of other rooms which are available for hire to interest groups, at low cost. 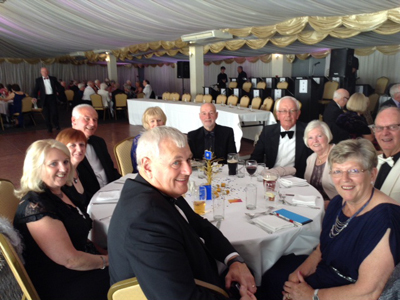 If you would like more information about Ashfield U3A or about how to join, please telephone the Chairman, David Riley on 07810-597764 or the Membership Secretary, Ann Smithson on 01623-428585. Alternatively, request information from the Membership Secretary by filling in the electronic form. 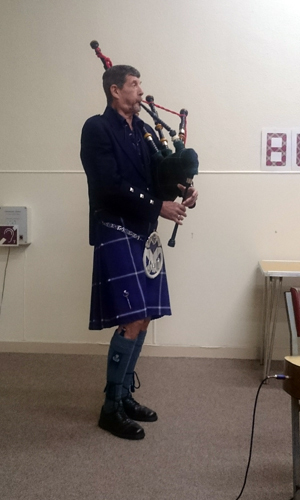 Ashfield U3A Christmas Fuddle: This took place on Thursday, 20 December 2018 in the Ashwood Centre, from 12:00 and included entertainment from our own Entertainments Unlimited group as shown in the photographs below. 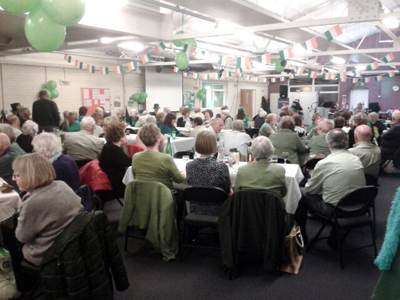 Ashfield U3A St. Patrick's Night Celebration: This took place on Saturday, 15 March 2014 in the Ashwood Centre, from 19:00 to 20:30 and included an Irish Band [Knitters Jig] with steak and Guinness pie, potatoes and peas, and carrot cake for afters. 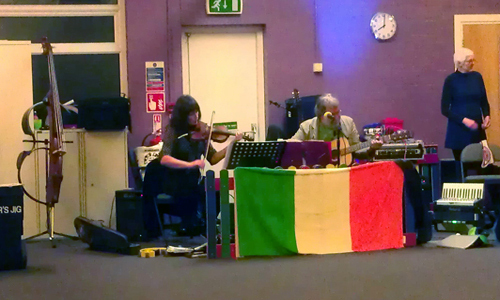 There was also an Irish Quiz in the break. 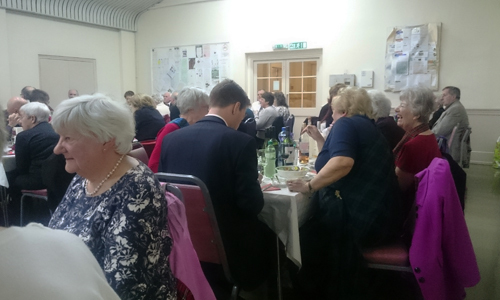 October 2011 - Ashfield U3A Fifth Pie & Pea Supper. August 2008 - Ashfield U3A River Trent Jazz Cruise. 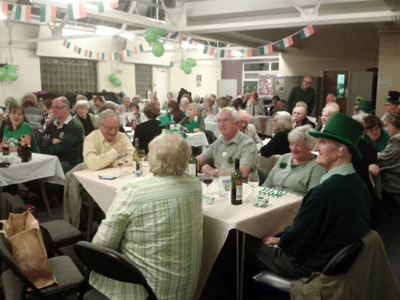 March 2008 - Ashfield U3A Second Pie & Pea Supper. October 2007 - Ashfield U3A Murder Mystery. June 2007 - NNNG Picnic in the Park. 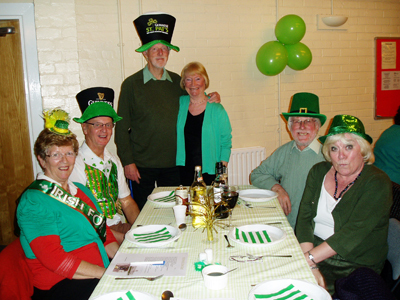 March 2007 - Ashfield U3A First Pie & Pea Supper. 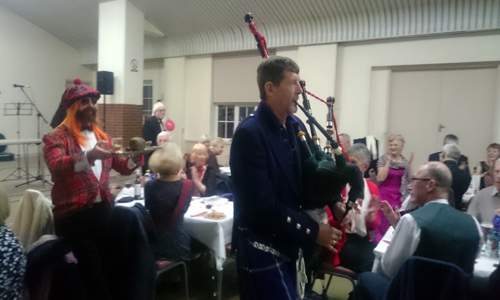 Ashfield U3A is now 13 years old!